*Disclosure: This is a sponsored post on behalf of Verizon FiOS SoCal Experience. All thoughts and opinions, as always, are my own. When we arrived at the check-in stand we received our badges with food and drink tickets and got to pick a colored bandana for Kona. We chose purple to match her leash. The Disc Dogs of Southern California were up first with their demo. Those dogs can jump! There was one dog, Jet, who jumped unbelievably high to catch the frisbee. My seven-year-old niece loved it! We also ran into our friends Justin and Amanda who brought their daughter and their six-year-old Husky, Jack. We had a great crew! 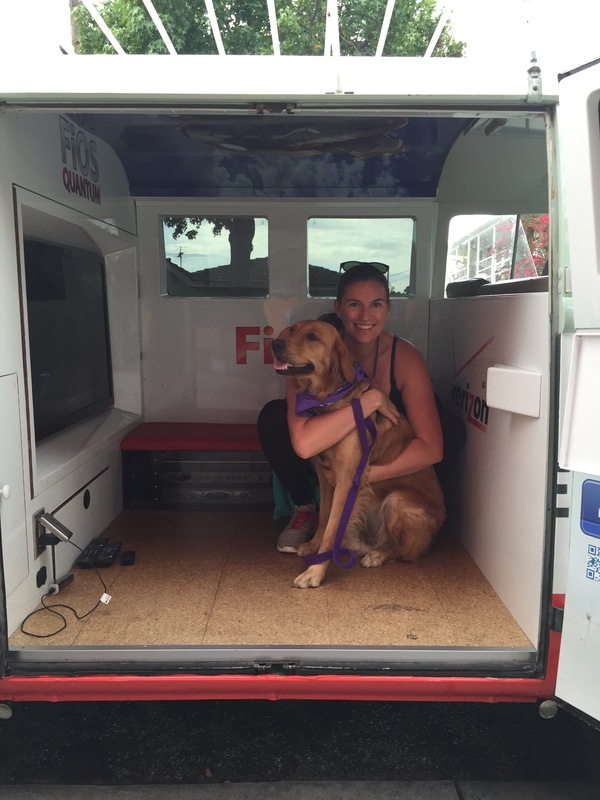 Kona and I hanging out in the Verizon Fios SoCal Experience VW bus. There were several sponsors exhibiting at the event so we walked around and checked them out. Most of them were brands we were familiar with like Kriser’s and Healthy Spot. We spun the wheel at Healthy Spot’s booth and Kona won a free trial size of Honest Kitchen food! 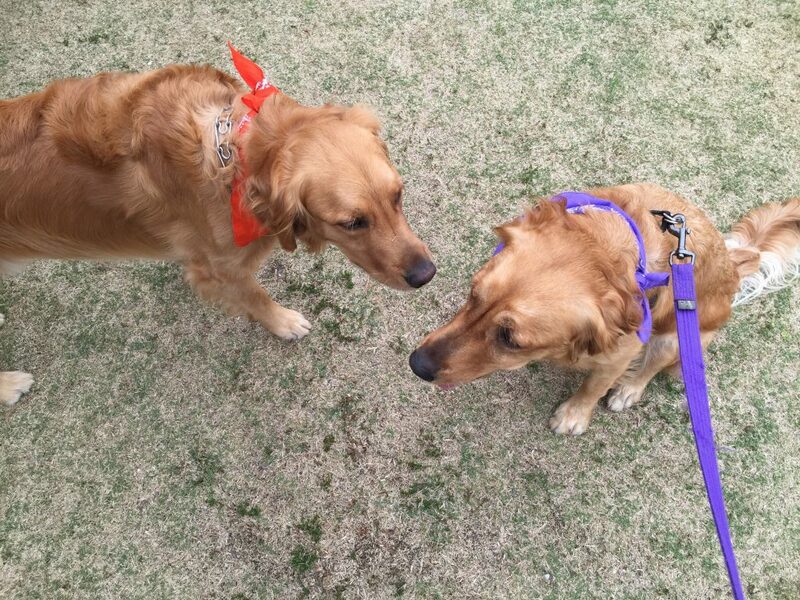 She also ran into her twin (another golden retriever) at this booth and of course they had to sniff each other. Hilarious. 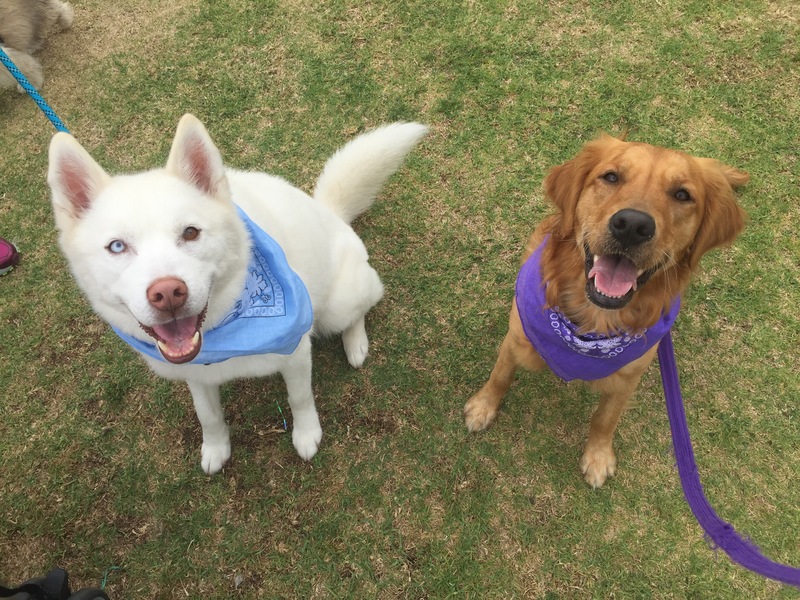 Kona and her pal, Jack, in their cute bandanas courtesy of K9 Summerfest. Later on there was a ceremony where the Verizon FiOS SoCal Experience volunteers presented the folks from K9 Connection with a grant for $5,000. K9 Connection is a non-profit organization that works with high schools to offer teens a chance to break through learning and life barriers by training and bonding with homeless dogs. The K9 Summerfest is an annual fundraiser where all proceeds go to K9 Connection so this was a pretty significant contribution! Love to see Verizon Fios helping out the local community. 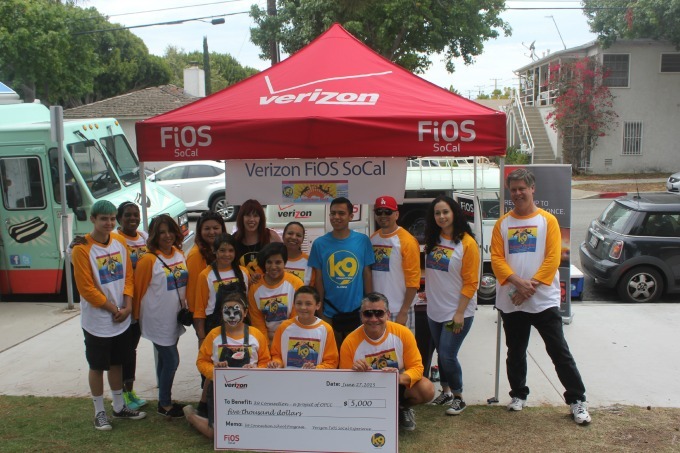 The Verizon Fios SoCal volunteers with K9 Connection. One event we had been looking forward to all afternoon was the Doggie Fun Zone. 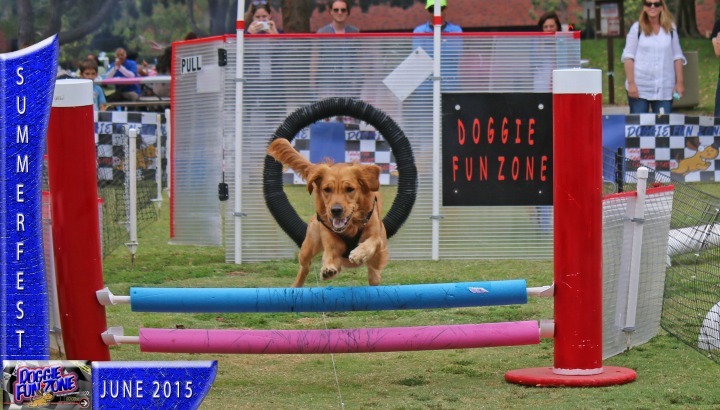 This was an obstacle course for dogs where they chase a mechanical lure that guides them through the course. We were watching it all afternoon and it looked like a blast. When the line slowed down, we went to sign Kona up. As we were doing that, we noticed she chewed through her leash and it was hanging by a thread. Oh, Kona. We met this wonderful person from Kriser’s and she went out of her way to help find a replacement leash for us. I would like to give a special thank you to Lori from Kriser’s. That was super awesome of you! 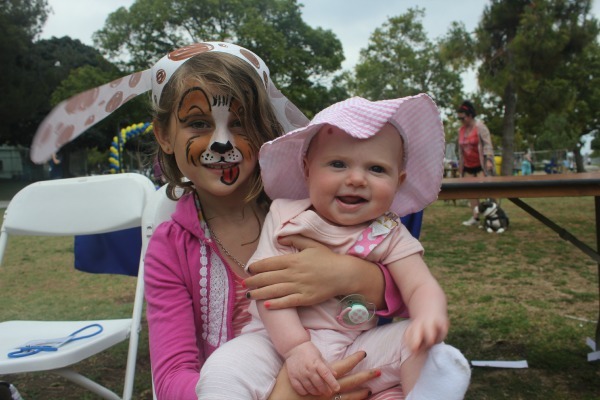 The tongue on my niece’s doggie face paint cracks me up! 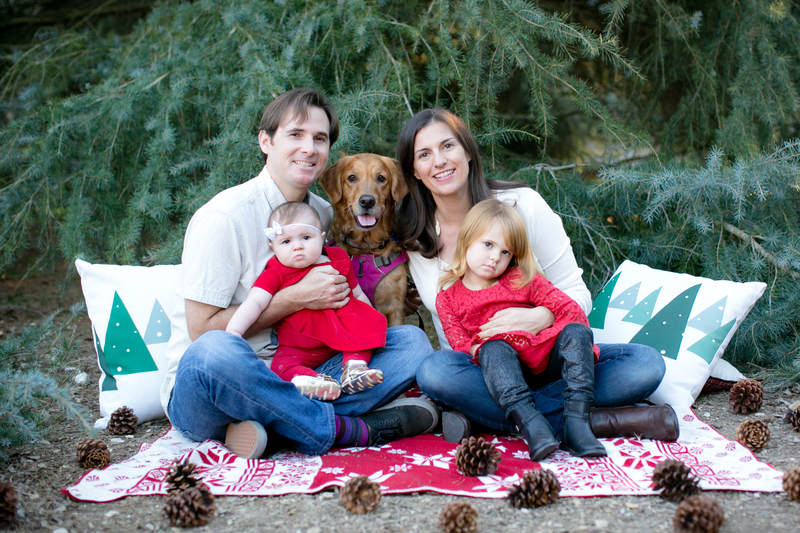 Our family had such a great time spending the day outdoors hanging out with Kona and doing fun activities with her. We already can’t wait to go back next year! At the time of this posting the K9 Connection has raised a total of $68,000 out of their $75,000 total goal. They are accepting donations up until July 31st. If you would like to make a contribution you can visit the K9 Summerfest website here. It’s for a great cause, and it’s a tax write-off too! What about you? Have you ever been to a dog festival? What did you think of Kona in the Doggie Fun Zone? Post in the comments and let us know! Introducing the Newest Member of our Family: Kona! 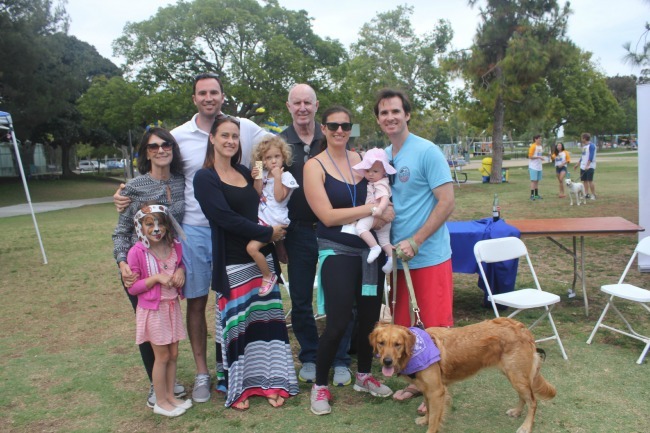 The K9 Summerfest is an annual event to benefit K9 Connection and the Verizon Fios So Cal experience is one of its largest sponsors. This looks like heaven. I would like to go there. It pretty much is doggie heaven. How fun!! The event was in Santa Monica and I didn’t even hear about it! Kona is adorable and did so well in the Doggie Fun Zone. Your daughter is beautiful! What a great day of hanging out with your family and so glad a lot of money was raised. Have a wonderful weekend! Thanks for the great coverage, Lindsay, and glad you and your family had a good time. We tried to get the word out about Summer Fest to the local community (distributed flyers, postcards), but can obviously use some promotional help! Please come as a guest of k9 next year! Hey Juliet – Thanks for your nice note. I would love to attend the K9 Summerfest again next year and would be happy to help you promote. Such a great cause. 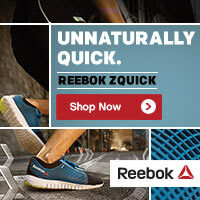 Did you reach your goal? I hope so!